This highland dress, add an edgy finish to this season. 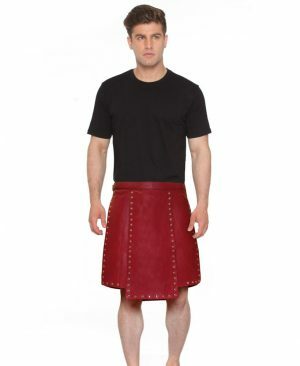 Made in combination with leather and suede it is design for style and comfort. 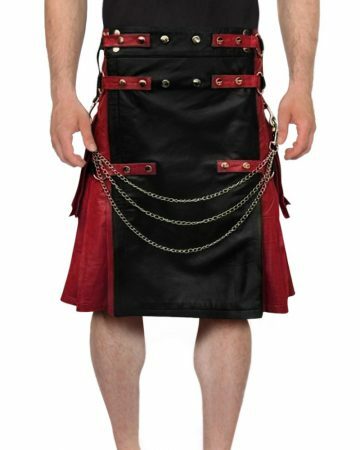 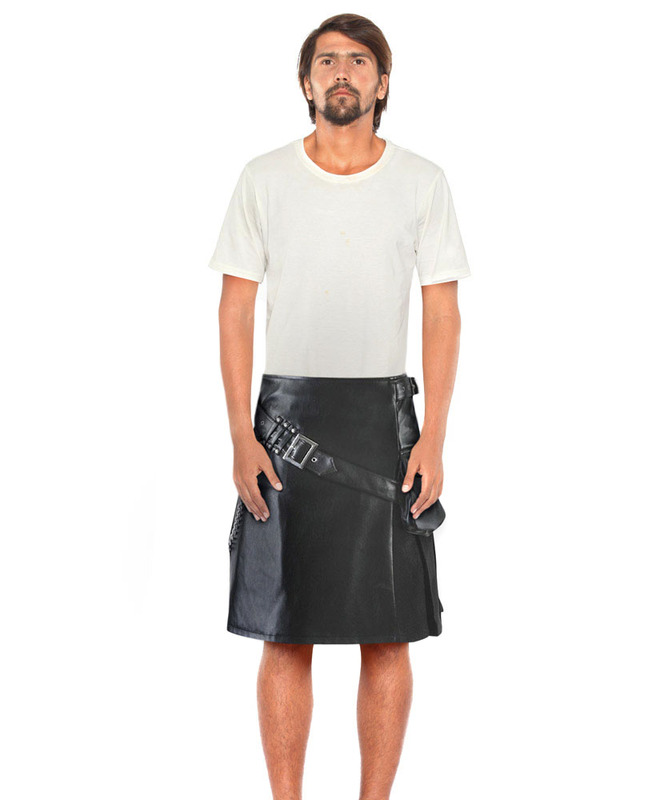 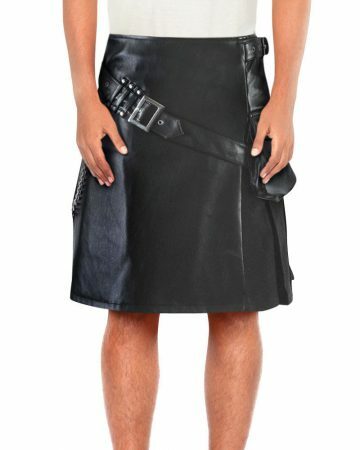 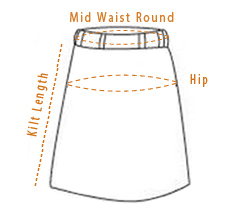 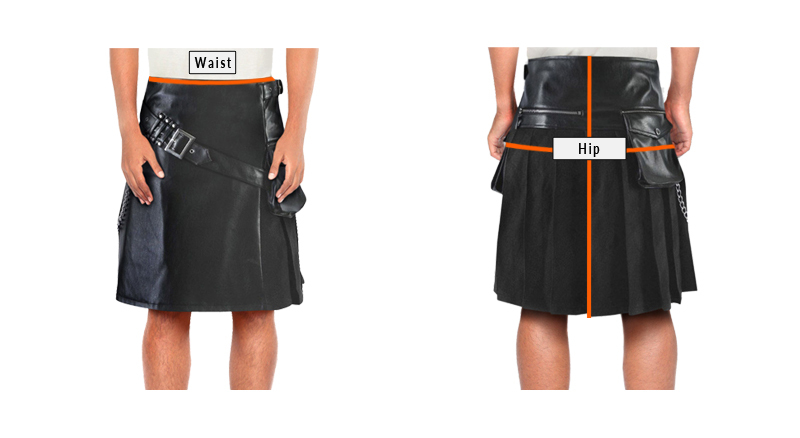 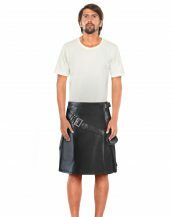 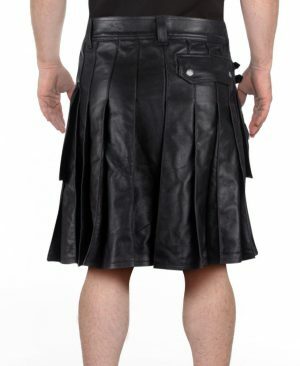 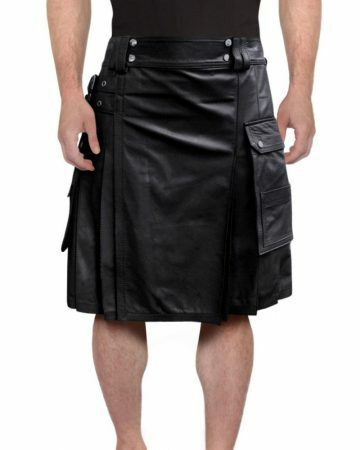 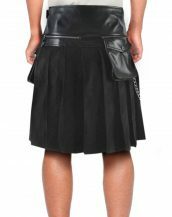 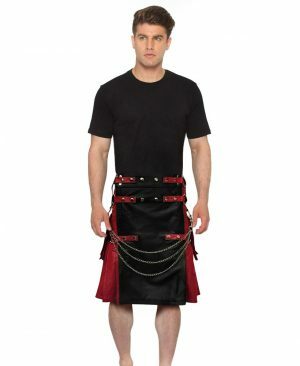 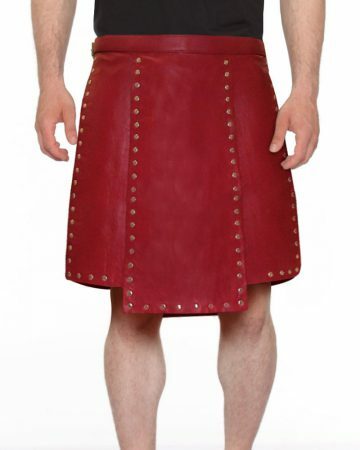 Designed with a front diagonal buckle strap, metallic studs on belt loops and pleated pattern at the back, this kilt is perfect for increasing your fashion quotient in any traditional occasion.